God’s People, part 109: Ezra. Part 109: Ezra. What’s important to understand is that the people we have been discussing the past several devotions are connected to each other in personal relationship and/or in historical circumstance. In the case of today’s subject, Ezra was personally connected to Nehemiah. Born in Babylon during the Babylonian Captivity, Ezra had never been to Jerusalem, nor did he ever lay eyes on Solomon’s Temple before it was destroyed. In other words, Babylon was all Ezra knew. So we can imagine the excitement, as well as the fear, that ran through Ezra as he returned back Jerusalem. What’s more, he could not have possibly realized what challenges would have been awating him in Jerusalem. It is imporant to note that Ezra was not among the first to arrive in Jerusalem, nor was he among those who dealt with the struggles of rebuilding the Temple or the wall; rather, he was a part of the second wave of Jews who returned. It is important to note that Ezra-Nehemiah were originally one book that ended up getting split up. Though we have yet to discuss Nehemiah, by the time Ezra returned to Jerusalem Nehemiah had already built the wall and Ezra wrote, “[God] revived us so that we could rebuild the Temple of our God and repair its ruins. He has given us a protective wall in Judah and Jerusalem” (Ezra 9:9). Thus Nehemiah was among the first wave to return and Ezra returned following him and his leadership on the wall construction project. Ezra, ever mindful of the cost of sin having spent his whole life up to that point in a foreign land, called the people to strictly observe the Torah and its laws. Obedience to God’s law, Ezra argued, would keep Judah from falling back into sin and into the threat of destruction. Being lax and not obeying God was not an option. He read to them the Torah and enforced the observance of the law. 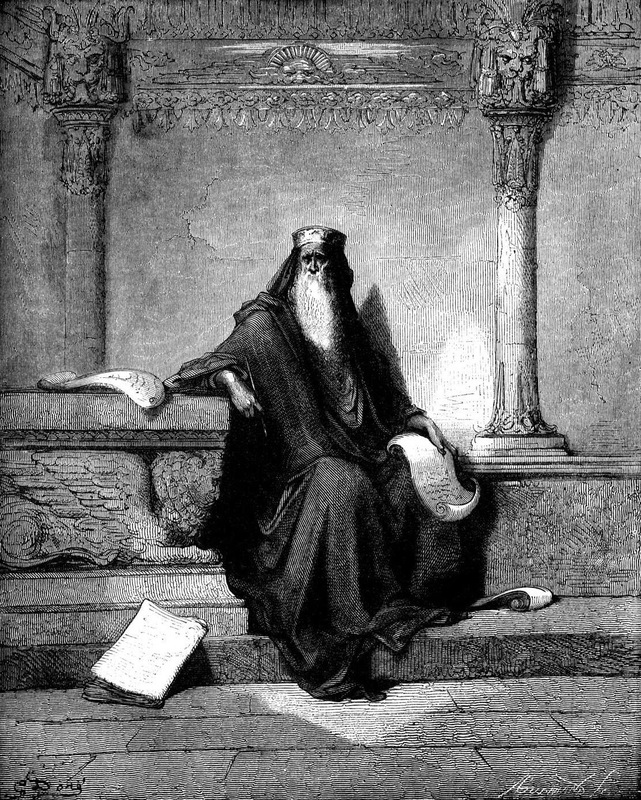 Ezra’s focus on strict observance of the Jewish Law would eventually become the focus of another group of Jews called the Pharisees. As Christians, we may feel the temptation to ask how this is all relevant to us. We are not longer bound by the law, right? It is true that through Jesus we have been freed from the letter of the Law; however, in and through Jesus we begin to live into the fulfillment of the law. In other words, Jesus works the heart of the Law (LOVE) in us and calls us to put that LOVE on display toward others. Are we open to the work of Christ through the Holy Spirit? Do we remain faithful to him and the LOVE that he has called us to? Ezra, if nothing else, challenges us to reflect on our loyalty and faithfulness to Jesus Christ who is the fulfillment of God’s Law. Lord, I submit myself to you. Forgive me my trespasses and give me the strength to be faithful. Amen. Part 77: Jehoshaphat. What a name, right? Jehoshaphat was the son fo King Asa. As we discussed the last devotion, Asa was a fairly righteous king; however, in the end he chose to make alliances to secure his own security and power, rather than relying and trusting God. He was scolded for that by his prophet, whom he had imprisoned and put in stocks. So, while he was certainly a decent king in comparison to the wicked kings, he was far from perfect. Unlike other kings in Judah, and certainly unlike the kings of Israel, Jehoshaphat distanced himself from “evil practices” and followed the commands of God. He destroyed shrines and altars to Baal and tore down Asherah poles. He sent priests with his officials on a tour of the kingdom of Judah, carrying with them the Torah, and they taught people the laws of the LORD. In doing so, Jehoshaphat brought people back to the God they were in covenant with, the God who saved them, through Moses, from slavery in Egypt. Jehoshaphat was so respected, and his God was so respected, that no one dared to declare war on Jehoshaphat and his kingdom experienced prosperity and peace under his rule. In fact, the Philistines even brought the king gifts of silver as a tribute and the Arabs brought him 7,700 rams and 7,700 male goats as a gift. As the king grew more and more powerful, he fortified Judah and secured it with great storage of food and supplies. With all of this said, Jehoshaphat was not perfect, and he did make mistakes. He, like all kings, as a politician and tried to be diplomatic where he could. This is not a bad thing per se, but it can lead to unhealthy compromise. He allied himself with King Ahab of Israel, even in arranging for his son to marry Ahab’s daughter. This alliance led him directly into a battle that was against what God wanted. The prophet Micaiah had prophesied and warned them from going; however, Ahab dismissed this and Jehoshaphat went along with Ahab. This almost cost him his life and Ahab did lose his life in the battle. There’s wisdom to be learned here. How many of us make seemingly small compromises in our faith and in our spiritual discipline that, overtime, add up to set us back BIG TIME. Or if those compromises don’t set us back, perhaps they have had lasting negative effects on our families. The challenge for us is to maintain our spiritual discipline, grow in our faith, and not compromise on what God is calling us to do. Healthy compromise is good; however, when it comes at the cost of our relationship with God, that is not healthy. The challenge for us is to remain faithful to God and to have the humility to return to God when we find we are not. By our own power, this is not possible…but in God, all things are possible. Lord, apart from you I am hopeless; however, in you, I am empowered and through you all things are possible. I put my trust and my faith unwaverinly in you. Amen. Part 61: Solomon. There are few people IN THE WORLD who have not heard the name of King Solomon. He is one of the most romanticized of the Biblical personalities and he is remembered for many great things. In fact, when we think of Israel, especially Jerusalem, we more than likely view it post-Solomon and not pre-Solomon. He had a lasting and indelible effect on the history of the Jewish people. He was known for his incredible wisdom, for his illustrious lifestyle, for his countless women, and his torrid romance with the Queen of Sheba. He was known for his great building campaigns and, at the top of the list of things he built, he was especially known for the building of the first Jewish Temple. Solomon’s reign was the height, the golden years if you will, of the United Kingdom of Israel. With that said, it was also the quick and fiery downfall of the United Kingdom as well. 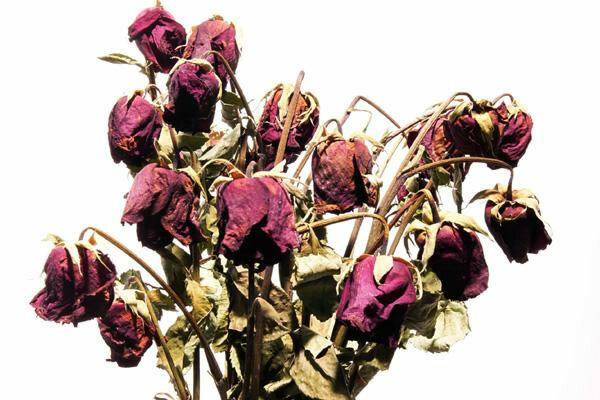 While Solomon might be known for many great things, and is widely considered to be the wisest of all the kings of Israel, it goes without saying that even the wisdom of the great Solomon ended up falling a bit short. What’s more, like all of the rest of the kings, Solomon proved to be yet another example of how power muddies the water and poisons the well. Solomon, at best, was an embodiment of contradictions. 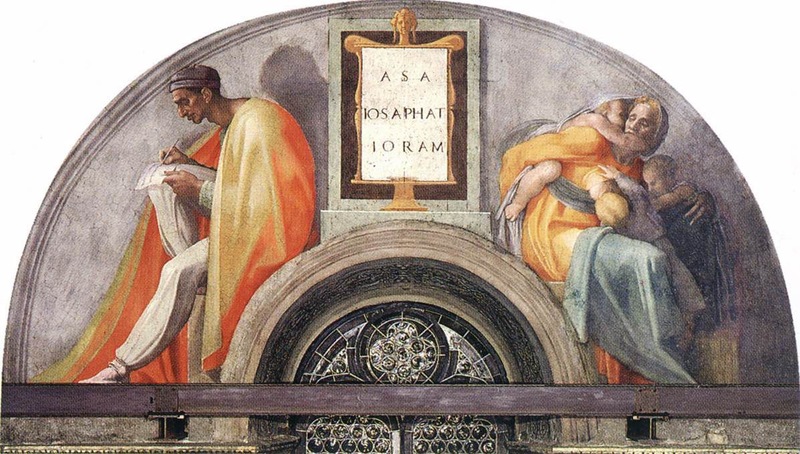 For instance, Solomon is known for his building of the great Jewish Temple. This temple was to be the “House of God”, where the Spirit of the LORD would literally be enthroned. This temple was not just good for the Spiritual health of the United Kingdom of Israel; however, it was great for commerce, for tourism, and for the economic growth of the kingdom as well. People from all over the world traveled to Israel to see the great Temple built by the great king. And that brings us to what Solomon is NOT commonly known for: building temples to foreign gods for the tourists. That, in today’s day and age, probably doesn’t sound that bad, right? I mean, that is just being accommodating of diversity and showing hospitality to foreigners. If we are saavy capitalists and/or economists, we might also note how economically genius that was because, in the ancient world, temples also doubled as banks and currency exchange. Yet Solomon, in the end, turned to those false gods and began to worship them himself. It is one thing to be accommodating, it is another thing to stray away from one’s relationship with God. The author of 1 Kings places the blame on Solomon’s wives and his old age; however, the truth be told, Solomon began to see himself above God. So much for wisdom, right? The king, who had assassinated all of his opposition at the outset of his rule, had generally brough peace and contentment to the people of Israel; however, in the end, he forgot that peace and contentment come out of our faithfulness to God. As he grew more and more unfaithful, the façade of peace and contentment began to crumble and the state of the Kingdom grew frail and weak. In the end, Solomon died and the Kingdom instantly became divided among his son Reheboam and his superintendent, Jereboam, both of whom were contending to be the Solomon’s rightful successor. The result: The United Kingdom became the divided kingdoms of Israel and Judah, forever separated and at war with one another for their legitimacy, for land, and for power. This should cause us to see the damage done by unfaithfulness. God trusts us and desires a relationship with us; however, we so often stray from God for this reason or that. We even allow excuses to justify our unfaithfulness, but in reality, we only have ourselves to blame. The challenge for us is to admit we’ve been unfaithful in the areas we have, and to turn our hearts back to God. It is there, in a faithful and committed relationship to our Lord, that we will find true peace, contentment and joy. It is also in the context of that relationship, that we will realize that it is ONLY with God that we are capable of greatness. Apart from God, we are merely consigned and doomed to our own designs which lead toward destruction. Today’s challenge, reaffirm your commitment and your faithfulness to God. Lord, give me the wisdom to see where I have been unfaithful and the integrity and strength to turn back to you. Part 32: Gideon. If there is one thing that is consistent, it is that people forget quickly the things that lead them astray. This is true in the accounts of the judges. Following each judge, it reads, “The Israelites did what was evil in the sight of the LORD…” This is usually followed by God handing them over to their enemies. While that is the way the authors articulated it, what really happened was that the Israelites got too big for their britches and found out that they were no match against some of their enemies. God was not punishing them; rather, their own sinful propensity of ignoring God left them facing the unintended consequences of their own designs. Out of those periods of unintended consequences, rose up new judges who were being called to bring people back to God. Gideon, was one among many of those judges. When one reads the three chapter account of Gideon, it is amazing how he was able to not only defeat the enemies of the Israelites, but he did so without ever forgetting who empowered him. When I think of Gideon, I think of people like George Washington who, after winning the Revolutionary War (a miraculous feat unto itself) and serving two terms as the first President of the United States of America, stepped down from the seat of power in order to hand it off to the next person in line. Gideon was such a leader, for sure! When the Israelites begged the victorious Gideon to rule over them as a king, and to place his sons up as his heirs and successors, Gideon replied, “I will not rule over you, nor will my son. The LORD will rule over you” (Judges 8:23 NLT)! What faith, and faithfulness, it must have took for him to turn aside the lure of power. Still, Gideon did not start off as such a commanding person of faith. As God called him, he found himself doubting that God was calling him. He puts God to the test to prove that God was really calling him. Even after the LORD proved to Gideon that it was God calling him, he still found himself fearful and in doubt. When God asks him to destroy the altar of Baal, and to cut down the pole dedicated to Asherah, he does so in the middle of the night so nobody sees him. Of course, one they see that both were destroyed, they end up finding out it was him anyway. The point of this is that while Gideon’s story ends with him being shown as a warrior who protected his people against the vicious Midianites, he was far from perfect. He hesitated when he knew that God was calling him, stalling out of fear of failure as well as death. Instead of boldly stepping out in faith, he was sheepish and cowardly at first. Yet God did not hold that against Gideon at all. In fact, God humored Gideon in his tests and in his initial cowardice. The point here is this, God is calling each of us into service. God is calling us to defend the defenseless, to speak out for those who have no voice, to protect those who are weak, to serve those in need of help, and to help people return to a right relationship with God. God has been calling us all our lives to such a divine purpose, but many of us have either ignored the call, or have been ignorant to it. What’s more, when we do answer God here or there, it is often in a way that mirrors Gideon’s initial response. Yet God still called Gideon and patiently waited for Gideon to do what he was created to do, and God still calls you and is waiting for your repsonse as well. If you respond, if you make the effort to continually respond, over time you will become stronger in your faith and will begin to boldly step out with faith in service of God. Lord, I believe. Help my unbelief so that I may grow in my faith as Gideon did, and answer your call to serve boldly. Amen. In Rabbinic Judaism, which developed following the destruction of Jerusalem and the Jewish Temple in 70 CE, three tenants or pillars developed in the Jewish faith. It’s not that these “pillars” didn’t inherently exist within Judaism; rather, it is that it wasn’t until post-70 CE that they were so coined. The pillars represented the way one was to remain true to Judaism without the existence of the Temple, which was the center of the Jewish faith. Thus, the pillars replaced the Temple as the center of the Jewish faith and provided a way for people to live up to the Jewish covenant with God in the absence of a Temple. The three pillars are Torah (including the study of the Torah), avodah shebalev (worship of the heart, aka prayer), and gimilut chasidim (acts of loving kindness). In other words, in order to remain a faithful Jew following the destruction of the Temple, one had to study the Torah and live faithfully by it, one had to worship God in their heart through regular and persistent prayer, and one had to perform acts of loving kindness in the world around them. By doing this, one was living in a way that was a holy and living sacrifice to God. Since there was no Temple to sacrifice in, this was the way the Rabbis taught to express faithful devotion to God. In fact, one could argue that if people lived perfectly by the three pillars, there would be little need to offer sacrifices in atonement of sin. Clearly, the three pillars are a noble and holy way to aspire to. Matthew 6:19-7:12 parallels the third pillar of Judaism: acts of loving kindness. Today’s passage, Matthew 6:19-24, kicks off the section with another antithetical form. In essence, Jesus states that people either store up treasure on earth, or they store up treasure in heaven. People either hold onto material goods that will eventually be lost, or they will attain everlasting goods. People will either have a clear eye and live life in the light, or they will have a bad eye and live an utterly hopeless and confused life in the darkness. People will either serve “things” or they will serve God. These antitheses serve to remind us that we are always facing two choices: the choice to do what is right and the choice to do what is wrong, the choice to follow God, or the choice to follow ourselves. Our God is a God of action and, thus, it makes sense that Jesus would lay out these antitheses centered on what we do versus what we do not do. It is important that we not only “believe” in Christ, but that we FOLLOW Christ and that we live our “beliefs” out in tangible ways. Jesus doesn’t take time to explain what “heavenly treasure” is, nor does he go into detail on how to attain it. That is beyond Jesus’ point and he leaves it open for his disciples to respond in creative ways unique to their own situations. In other words, Jesus leaves room for interpretation. Where the wiggle room stops here: one either is actively working for God, being set apart for God, or one is not. Christ makes that very, very clear. In our world we often look at the eyes as the window that lets light into brain, which then interprets that light, and shadows, into the objects we see. The ancients, Jesus included, had a different understanding of the eye. For the ancient world, the eye was a lamp that shined light on what we were seeing, thus illuminating objects so that they can be seen. Despite the two different understandings of the mechanics of the human eye, Jesus’ point is made clear by the fact that he makes it in the context of money and material gain. If the eye is seeking material gain, the person it belongs to will be misled and lost in a state of confusion and darkness. Their entire way of seeing the world will be perverted by their “eye’s” focus, which is really the focus of their heart. This of course, is followed up with Jesus famous “mammon” verse, where Jesus states that one cannot serve two masters, that one cannot serve God and “mammon” or money. The fact is this, Jesus is reminding all of us that we have to make a choice, do we follow God or do we follow ourselves? Do we recognize Christ as our Lord, or do are we lords over our own lives? The choice is simple. If we choose Christ, then the Gospels (and all of Scripture in the light of the Gospels) points us to what our lives ought to become. If our lives are not matching up with the Gospel, that means we are not fully committal in serving Christ alone. Each of us falls into this reality, but Christ has gracefully given us the measure, along with the Holy Spirit, to begin to change. Lord, you are the light. Open my eyes that I may see it, embrace it, and reflect it. Amen. 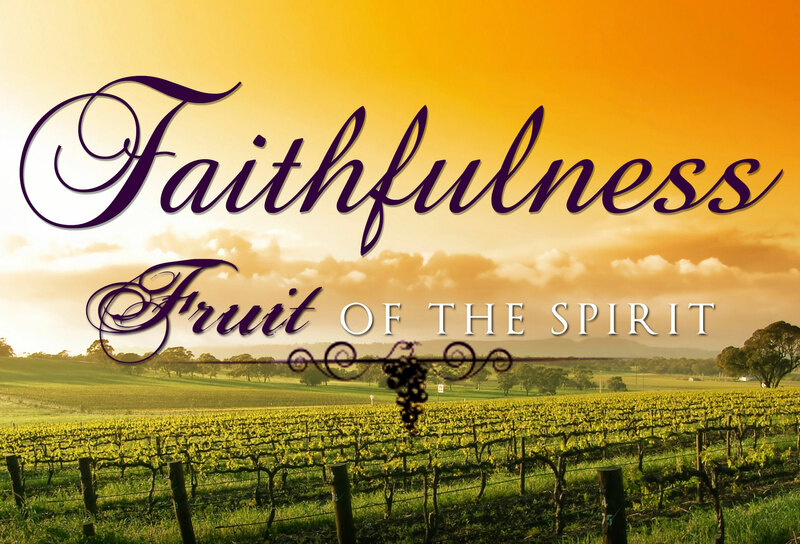 FRUIT OF THE SPIRIT: Faithfulness. When I think of the fruit of faithfulness, I think of the prophet Daniel. If you remember the story of Daniel, he was one of the Jews who were exiled to Babylon as a result of the corruption of the Kings of Israel. During exile, Daniel rose to prominence in the Babylonian Court under King Nebuchadnezzar II. There the King learns that Daniel had the ability to interpret dreams and he employed Daniel to do just that. Daniel faithfully served Nebuchadnezzar until the king went mad, something which Daniel predicted would happen. The king’s successor was even more foolish than his predecessor and ended up losing his kingdom to the Medes and Persians. King Darius of Persia took notice of Daniel and eventually elevated him to high office; however, out of jealousy, court officials tricked King Darius to pass an edict that prohibited the worship of any god or man for a 30-day period. Out of faithfulness to God, Daniel refused to obey such an edict and prayed to God three times a day while facing in the direction of Jerusalem. Of course, it wasn’t long before Daniel was caught in the act and accused before King Darius who was forced to punish his favorite official…by his own decree. Thus we come to the story of Daniel and the Lion’s Den. Daniel was thrown into the lion’s den as punishment for his faithfulness to God. He did not let anything get in the way of his relationship with God, not even the threat of punishment or death. And it was in his faithfulness that Daniel witnessed to God’s faithfulness as well, for the lions lay down and do not eat Daniel! In reality, it is not that God just became faithful or that Daniel just noticed. Neither of those are true. Daniel had known God’s faithfulness all along, despite being exiled from his homeland and being under the oppression of foreign rulers. When reflecting on faithfulness, we really have a three things to consider. First, when we think of faithfulness we cannot over look the example of God’s faithfulness with us. We need to be open to it, to see it in all of the blessings we enjoy, and to even see God’s faithfulness in the trials and tough times we face as well. The latter part is particular challenging for us as we tend to question God’s faithfulness when we are going through tough times. Don’t get me wrong, I am not suggesting that questioning God is ever a bad thing. It is not; however, it is a good discipline for us to struggle in the midst of those questions to see how God has blessed and been present with us in spite of the trials we’ve endured. God is always with us. God is always faithful. Second, we should live our lives in faithfulness as well. Faith begets faithfulness. If we have faith we will remain faithful to God. We will not compromise our faith or our relationship to God…no matter what the world (our friends, our country, etc.) is calling us to do. Finally, when the holy spirit nurtures faithfulness within us, we will be faithful in our human (and animal…yes they count too) relationships as well. We cannot be faithful to God if we are unfaithful in our human relationships! You may be wondering, “who could ever live up to such a standard?” On our own, none of us could; however, as Paul states from the very beginning, this is the fruit that the Spirit-filled life will bear. Lord, fill me with your Holy Spirit so that I may bear the spiritual fruit of faithfulness in my life. Amen. What does a Christian look like? Can you tell one a part from anyone else in the world? What sets a Christian a part from the non-Christians, apart from the Christian’s profession of belief in Jesus Christ? Are we joyous, happy, loving, caring compassionate, understanding, patient, and forgiving? Or, when the world looks at us, does it see a reality that is far different than our own self-perception of ourselves? I could go in a different direction with this, but for now, I will stick with the next of the Pope’s 15 Ailments of the Church. Ailment of the Church #12: Having a Funeral Face. The church is supposed to be a people of hope, a people of unending joy, a people are are moved by compassion, and a people that are driven by love. Yet, in reality, the people of the church fall well short of that. First, let me remind you that by church I do not mean the building that people worship in. That is a place of worship, but that is not “the church.” Yes, most of the time when people enter our places of worship they see a happy people. But happiness and joy are two different things. I am not so certain they find joy when they walk into our doors. When people see the church, whether it be within a place of worship, within a Christian organization, or within our community and/or the world, most people see a people who are angry, judgmental, manipulative, cut throat, filled to the brim with deceit and overflowing with the unholy art of slander through gossip. What’s more, they see a people who are cynical rather than hopeful. They see a people who are sullen as opposed to a people who are filled with God’s joy. They see a people who are fearful rather than a people who are faithful. This is what I believe Pope Francis I calls, “Having a Funeral Face.” Christians, if we truly believe what the Bible and our own collective experiences tell us, should be acting as if they are at a great wedding celebration…not as if they are sitting at a funeral waiting for the body of the dearly departed to be brought out for burial. We should be joyful, hopeful, faithful, full of excitement and inviting of others to join us. Everyone LOVES a good party. Everyone loves to get invited to a great party; however, no one loves attending funerals and no one is bound to get excited about a funeral dirge. We, as the church, need to get excited again. We need to take off our funeral face and throw it into the fire. We need to remember that we celebrate a RISEN and LIVING CHRIST. We are called to celebrate Christ’s resurrection and to partake in it, so that others may share in the same hope we have. Christ is calling us to be the people the church was called to be. Christ is inviting us to leave the funeral and rejoin the wedding. The door is open and the opportunity presents itself. Will we be a people consumed by the death of our very own faith, will be consumed by our own funeral sores? Or will we be resurrected with the LIVING CHRIST and live a life of pure and eternal joy and peace? 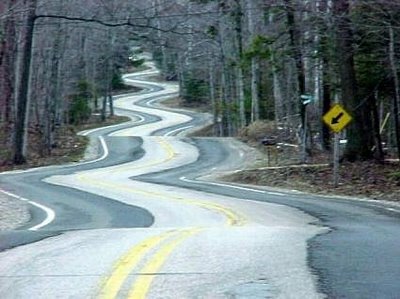 Will continue down the road of hopelessness, or will we be agents of God’s hope, healing and wholeness. The choice is ours to make. Lord, thank you for breathing life into me. Guide to a better way of living and expressing my life in you. Fill me with your joy, your peace and your love! Amen.